Scylla DB: An Apache Cassandra-compatible Database Written in C++ — From the team behind KVM comes a new open source database that promises to be the ‘world’s fastest column-store database’. It’s Apache Cassandra compatible and can just be dropped in. SQL vs NoSQL: How to Choose — A look at some different scenarios and applying the right criteria to choose whether the SQL or NoSQL route is right for them. 9 Tips for Better Database Design — Plan ahead, document your model, follow conventions, think carefully about your keys, use integrity checks carefully, and more. Real-time Database Monitoring at Any Scale with Datadog — Use Datadog's turn-key integrations to seamlessly aggregate metrics and events across your databases and entire devops stack. Gain powerful insight into all your apps, tools and services. 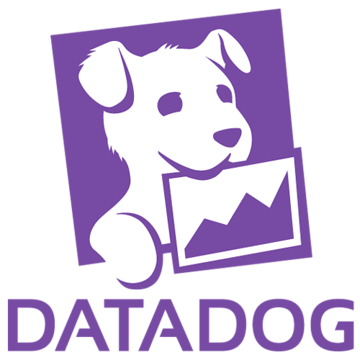 Begin your Free Datadog Trial today! Handling Circular Data Structures in Postgres — If you’re dealing with groups that contain other groups, or any other kind of nested structure the default might be to simply make a bunch of separate database calls from within your app. Fortunately with recursive queries there is a better way. A New Breed of Database Hopes to Blend The Best of NoSQL and RDBMS — Multi-model databases may help tame the growing complexity of enterprise data. Matt Asay explains. Yesquel: Scalable SQL Storage for Webapps [PDF] — “We design, develop, and evaluate Yesquel, a system that provides performance and scalability comparable to NoSQL with all the features of a SQL relational system.” An academic paper. Elasticsearch 2.0.0-beta2 Released — The final Elasticsearch 2.0 is just around the corner. Tape Storage Spec Jumps to 15TB — You’ve got to keep that data backed up somewhere. Working with Email Addresses in SQL — Check if an email is valid (with a regexp - be careful! ), split an email into its key parts, and more, all from SQL. PolyBase in SQL Server 2016 — PolyBase is a new feature that integrates SQL Server Parallel Data Warehouse (PDW) with Hadoop.